Railway Recruitment Board has released Answer Sheet for Railway Police Force Exam 2019. Download it from official website of the board. 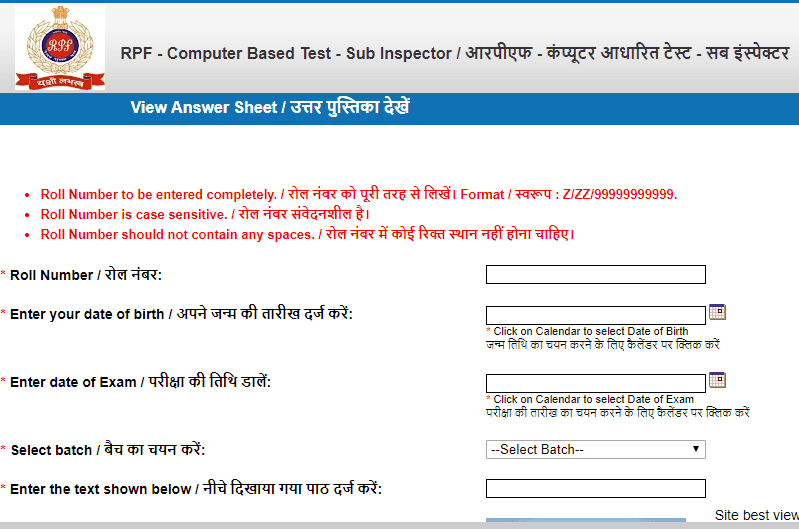 Answer sheets for the Sub-Inspector (SI) and Constable exams have been released by the Railway Protection Force (RPF). Candidates can download the answer sheets using their roll number, date of birth details, date of exam and exam batch.